This is the terrifying moment a car deliberately accelerates and ploughs into a group of terrified people. The pedestrians can be heard screaming in fear as the grey Ford Focus swerves wildly and then mows them down on a street in Romford, east London. The Snapchat video which was posted on Twitter is believed to have been taken at around 3am on Sunday, August 19, on Chandlers Way. It shows the car revving its engine and taking a sharp turn to the right before crashing into the people. The driver then swerves around and takes aim at another group of people next to railings as they try to throw themselves out of the way. At one point, a body can be heard hitting the bonnet. The car, which appears to have been damaged in the incident, drives away as one man tries to open the door. Police are now investigating after the video emerged on social media. A local woman said she had been leaving her home in Romford when she recognised the car from the video which had been parked just 10 minutes away from where the incident happened. Shannon Quartermaine told The Sun Online: 'I examined the cars marks and noticed the colour difference from the front and back wheel, exactly the same as the video. Railings on the street in Chandlers Way appeared to have been bent and damaged during the incident after the car drove into it. Metropolitan Police confirmed they were called to the discovery of a damaged grey Ford Focus. 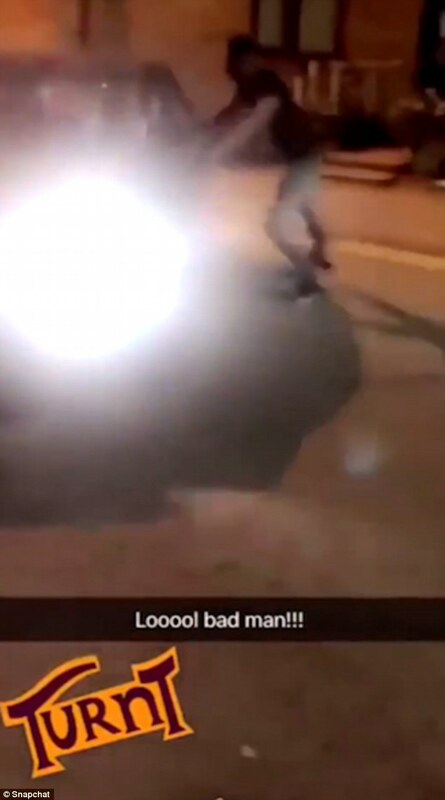 A spokesman said: 'Officers are aware of footage circulated on social media of an incident consistent with attempted grievous bodily harm, believed to have taken place in Romford. 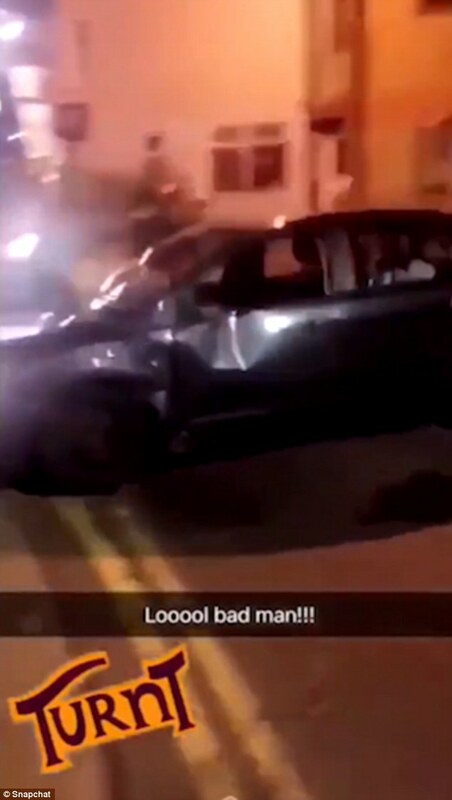 Romford Town Police said in a Tweet: 'We are aware of a video circulating on social media which shows a car driving at several people in Chandlers Way Romford.